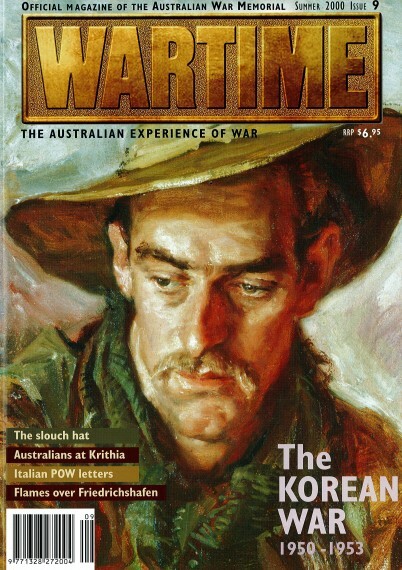 Australian observers in Korea by Peter Londey and Benjamin Evans. Australians were in at the start of the Korean War. East Timor the artist’s eye by Kelly Squires and Tina Mattei. For the first time since the Vietnam War, two official artists have depicted Australian troops in the field. The Bridge at Selali, Timor - 1 January 2000 by John Wells. As a new year dawns, threats of conflict give way to hope for peace. Mates in the hills – Australian Guerillas in Portuguese Timor by Emma Robertson. 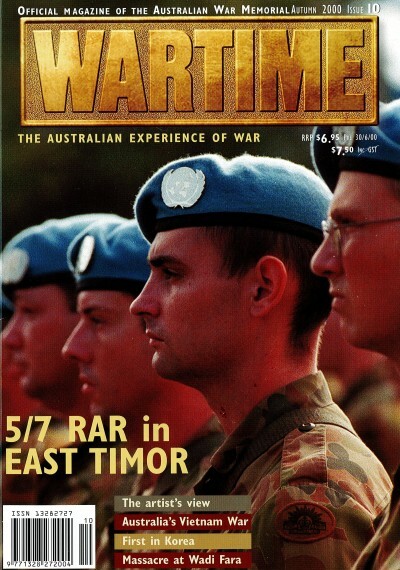 During the Second World War, Australian guerrilla forces opposing the Japanese on Timor could not have survived without the support of the local people. On a wing and a prayer ‘Moth’ Eaton over Timor by Mitch Williamson. 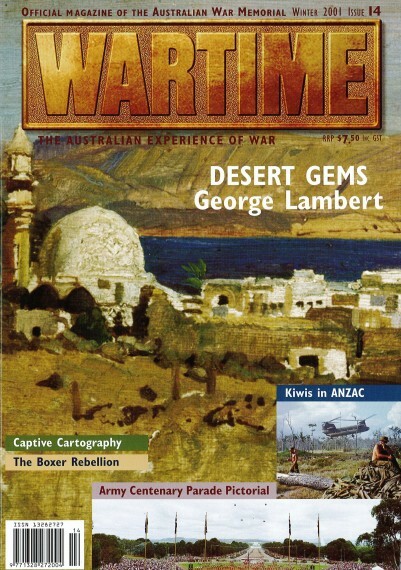 Charles Eaton’s connection with Timor spanned the Second World War and beyond. Boer War launches famous career by Ross McMullin. The early life of “Pompey” Elliott. Australia's Vietnam War by Peter Edwards. Australia's war in Vietnam was not just a small-scale version of America’s. An Australian on the Washington Wall? by Peter Edwards. Was John Louis Molyneaux, Jr, really an Australian? One less loose soul by Carla Anne Schmidt. The identification of a Vietnam unknown soldier. The Massacre at Wadi Fara by Ian Hodges. In the First World War the Australian Flying Corps saw themselves as knights of the air, but at Wadi Fara there was no room for chivalry. Michael Sheehan’s War by Peter Stanley. The experience of a typical, yet individual, Australian soldier lives on in the Memorial’s Second World War gallery. “Female” tank found by Gary Oakley. Relic from the Battle of Cambrai surfaces.